Like most teens, you want to feel good about the way you look. But what happens when the way you look just doesn't feel good enough? Whether it's online, on TV, or in magazines, images of impossibly perfect — and mostly Photoshopped — young women are everywhere. As a result, you may feel an intense pressure to look a certain way. Your friends feel the pressure too, which often creates a secret comparison competition that can make you feel worse about yourself. So how can you start feeling good about who you are, as is? 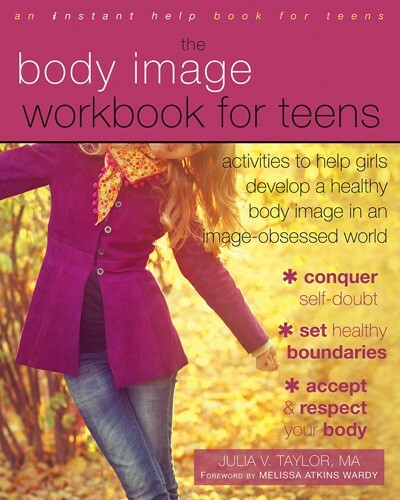 In The Body Image Workbook for Teens, you'll find practical exercises and tips that address the most common factors that can lead to negative body image, including: comparison, negative self-talk, unrealistic media images, societal and family pressures, perfectionism, toxic friendships, and a fear of disappointing others. You'll also learn powerful coping strategies to deal with the daily, intense pressures of being a teenage girl.